Wilderness.net - Wilderness Library Image #1549: Abandoned 19th century mine infrastructure. slag hill in rear right since overgrown with vegetation. 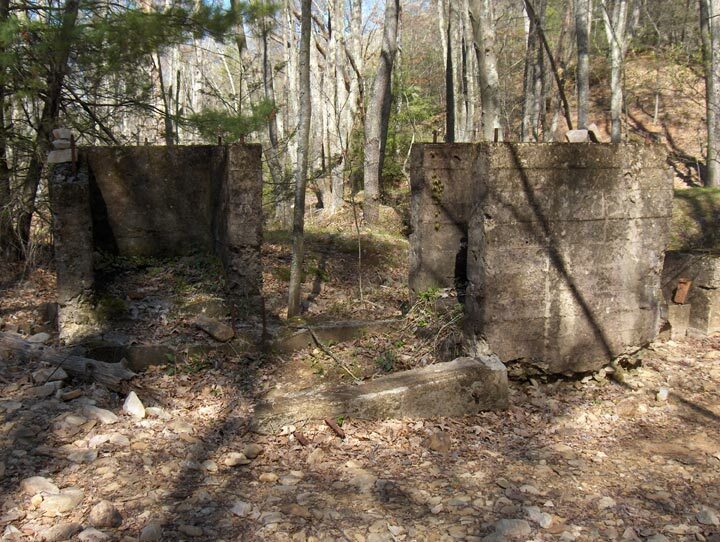 Description: Abandoned 19th century mine infrastructure. slag hill in rear right since overgrown with vegetation.